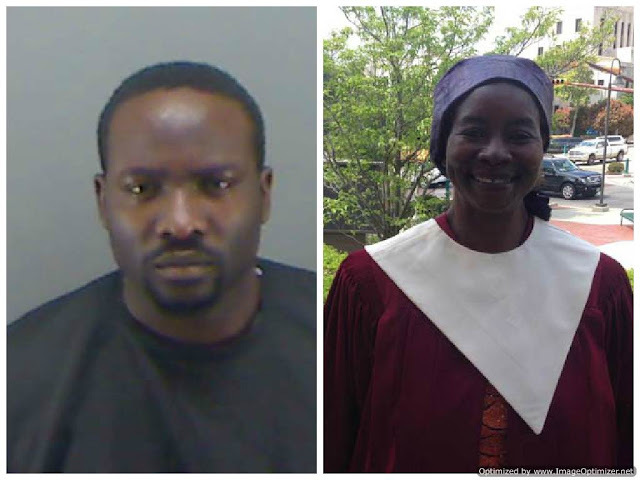 A Nigerian man living in the United States has been charged with murder after his mother was found dead at her Regency Park apartment in Texas USA. victim’s name or the nature of their relationship. Officers say they arrived and found Hauwa Kadima lying on the floor next to a broken wooden chair. Initial autopsy findings showed she had fractures to her skull, with laceration of the brain because of blunt impact to the head. Daniel had beaten her to death with the chair. Kadima is being held in the Gregg County Jail. His total bond is set at $100,005,500. In a sworn affidavit filed in the Gregg County District Clerk’s Office, Daniel’s ex-wife recounted past assaults and abuse from him, including four years ago when he allegedly head-butted her, breaking one of her teeth and busting her lip. She said he also would take her keys and lock her outside their apartment, but also restrain her when she wanted to leave their home. He also had video cameras installed in their marital home, video recording their daughter. Mrs Hauwa’s friends described her as a devout Christian, and well-educated with degrees from Wheaton College. They say she had a vision for her native Nigeria. “She had a passion for wanting to start a school back in her hometown. She didn’t go back to fulfill her dream,” Rev. Mary Collier says.